Sony India has launched another addition to its noise-cancelling headphones lineup. Called the WH-CH700N, the Sony WH-CH700N Wireless Noise-Cancelling Headphones have been developed keeping in mind the mid-range price and the noise-cancelling feature alongside wireless connectivity for its users. Sony WH-CH700N headphones come with the noise cancelling technology, making the headphones smarter by reducing ambient noise and providing an immersive sound experience, according to Sony. Sony WH-CH700N Wireless Noise-Cancelling Headphones launched Rs 12,990 in India. The Sony WH-CH700N Wireless headphones are available in two colours – Blue and Black. The Sony WH-CH700N Wireless headphones go head-on with rivals like Skullcandy Crusher Wireless, Bose Soundlink Wireless, Sennheiser HD 4.50 BT NC, and Sony WH-H900N. The Artificial Intelligence noise cancellation (AINC) technology in the headphones analyses background sound and adjusts it for the optimal performance on airplanes and other noisy environments, Sony India said in a statement. The headphones are equipped with a built-in microphone for voice assistant commands and hands-free calls. 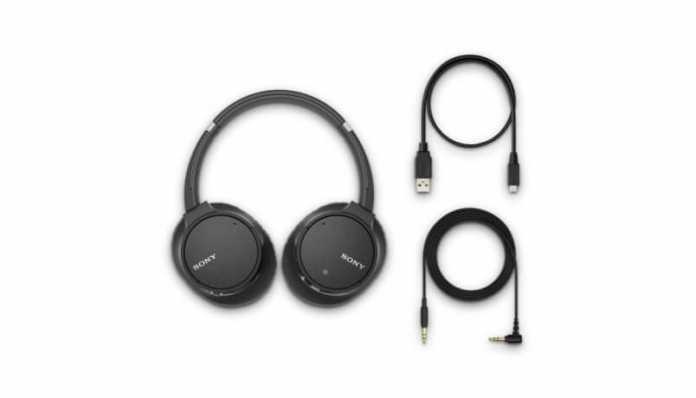 Sony WH-CH700N battery delivers up to 35 hours of power (depending on music settings) and is rechargeable via the USB, claimed Sony, adding that the new headphones will be optimized for Google Assistant with an update. The headphones are also equipped with a quick charge technology that gives 60 minutes of playback from 10 minutes of charge, it added.